Hey now, how have you guys been? Let’s talk a little about comfort zones. It’s always easy to stay within your comfort zone when dressing but if you do how will you ever elevate your style? For some of you, jeans and sneakers are your comfort zone or you might be a sweatpants chick or maybe you only wear neutrals. Me, I like to color block, wear monochrome colors or stick to ONE pattern in an outfit. This is my attempt at pattern mixing. You guys already know that I am not a big pattern mixer but I decided to step out on a limb and try something new. This polka dot shirt and floral blazer combination actually go well together. What do you think? I would definitely wear the blazer all day any day, and the polka dot shirt is a staple that everyone should own. 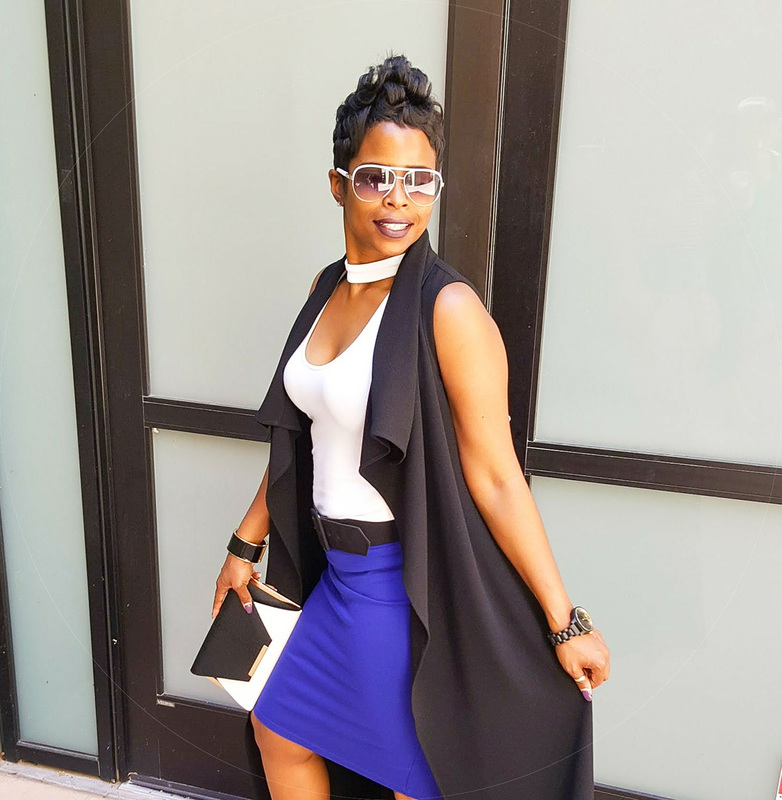 It jazzes up any outfit, see how I styled it in another look here. The first step to getting out of your comfort zone is to try something new. You can try it in small portions like an accessory or just say F it and go for it! If you only wear jeans and a tee try adding a blazer like I did here or maybe you are a sweatpants chick, try adding heels like I did here. The goal is to elevate your current style just a bit. Style Tip –> The key to mixing patterns is to start off with a basic pattern and then add a pattern that would take it over the top. Another key is to use one piece that is removable (like a blazer or a purse) just in case you just can’t take the combination and want out…lol… you can easily remove one and still feel comfortable with what you have on. Now I’m not going to lie, I’m still not keen on pattern mixing. I feel more comfortable in monochrome tones or color blocking but I will continue to push myself and I hope this post will inspire you to try new things when styling your outfits. Never, be afraid to try something new. because life gets boring when you stay within the limits of what you know! This not only apply’s to clothing but to life in general! Step up and step out… and go get your greatness boo!